Quilts and Pieces: My 5 minutes of fame - if it is even 5!!!! My 5 minutes of fame - if it is even 5!!!! Back in 2002/2003 I finally bought EQ5 and started learning how to use it. I found on the electric quilt site that they did monthly challenges which really helped learn new techniques and helped think outside the box. Well they also had electric round robins and I joined several and had a good time making electric quilts. They all get posted on the website. After about a year of the monthly challenges and round robins I had mastered what I wanted to know about EQ5, got busy with work and didn't do anymore - it kind of fell of the radar screen. 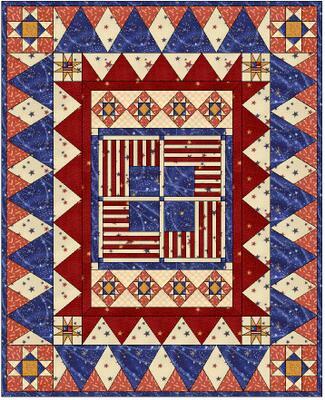 Well this past spring I got an unexpected email from Penny McMorris at Electric Quilt saying that someone from Prentice Hall had seen a round robin quilt 4 of us had did posted on the site and wanted to put it on the cover of an upcoming American Literature book! She needed our permission to use the picture! How cool is that! So we all gave permission and the "deal" was that we would get a cover of the book and the title page with credit to us for the cover design. I figured they may not even end up using it, and if they did the credit would probably be in the book but I wasn't going to hold my breath at ever seeing the cover. So about 2 months ago I thought I would browse around Prentice Halls website and see if I could find any new American Lit books. Well of course there are thousands of them. And I had no idea if it was grade school, high school, college or up! Never did find it. Well Wednesday night at our guild meeting we had a speaker who recently had a quilt on the cover of a quilt mag so it kind of reminded me about the book. So I went out to Prentice Hall's website again yesterday and what did I find! Right on the top of the "new books" listing was the American Lit book with our electric quilt pic! It was so exciting! I posted a picture of what the electric quilt looked like at the end of our round robin below. You can click here to see it on the book cover! And my favorite part? The book is a consise anthology of American Lit but is 2400+ pages! That is one hefty book! Hate to think of the non-consise version! That is amazing...congratulations! The book cover looks wonderful! How great is that, Dawn! Congrats! Pretty cool looking quilt design, too! 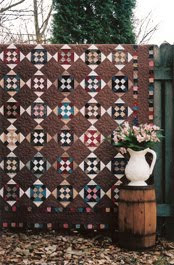 Did you ever make any of your designs into quilts? I used to do some of the challenges from EQ,too -- but you're right -- it's hard to keep up after awhile! How much fun for you. I would definitely brag about this a lot. 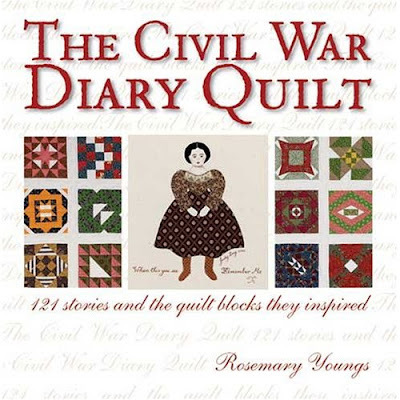 The quilt looks great on the book cover. Do you think you will make the quilt?!! WOW! all that because of the Internet! More than a few people will enjoy your efforts. 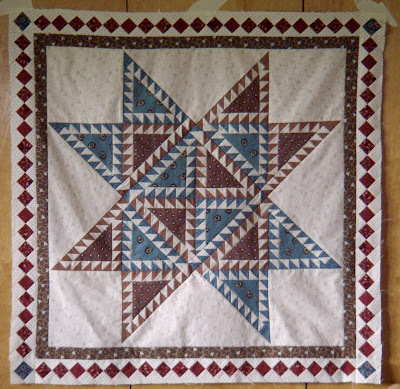 Who knows that your quilt will reside in a person's mind and at a later date, she may decide to make a quilt herself. You can never fully know the influence that quilt may have. Good for You! Thanks Everyone for your help! OK - what for borders? Or Any? Tonya and Finn - I got it!!!! I"m going to have a breakdown!